Charles Dickens was an English writer and social critic. 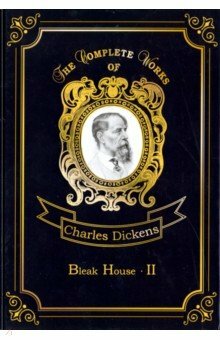 Bleak House is one of Dickens finest achievements, establishing his reputation as a serious and mature novelist, as well as a brilliant comic writer. Its representations of a great citys underworld, and of the laws corruption and delay, draw upon the authors personal knowledge and experience. The obscure case of Jarndyce and Jarndyce, in which an inheritance is gradually devoured by legal costs, the romance of Esther Summerson and the secrets of her origin, these are some of the lives that Dickens invokes to portray London society, rich and poor, as no other novelist has done.